Designed for a wide variety of playing situations, Rico Reeds in strength 2.0 are designed to vibrate easily. Featuring an unfiled cut and thinner vamp, Rico offers an ease of play that, combined with its affordable price and convenient packaging options, explains why more musicians worldwide find Rico the best value. Rico reeds have been the standard among reed players for generations. 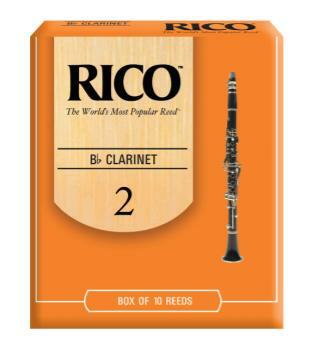 All Rico reeds are manufactured on state-of-the-art equipment that ensure an accurate cut and smooth finish. Every reed is precisely graded for its strength and quality, making Rico the best value for students and professionals alike.